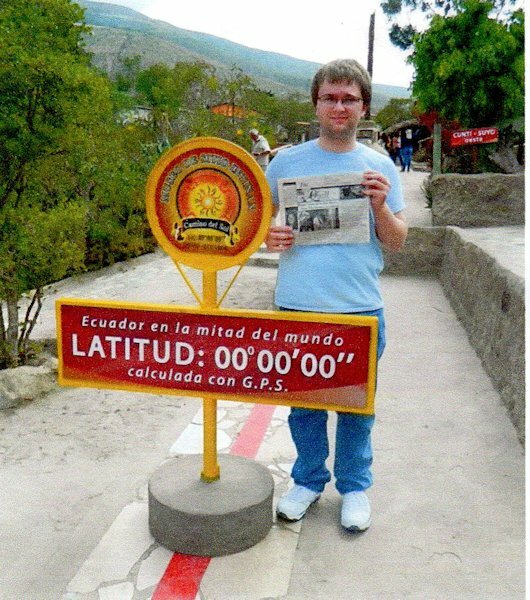 Jace Kost of La Harpe, and 2012 graduate of Illini West, took "The Quill" along on a two months study-trip abroad in Ecuador. It's a country straddling the equator on South America's west coast. During his stay he visited the Mitad del Mundo museum at the equator and also had the opportunity to visit the Huaorani tribe in the Amazon rain forest, travel to the wildlife-rich Galapagos Islands, and see Pope Francis during his recent visit to Ecuador. He enjoyed many breath-taking views.